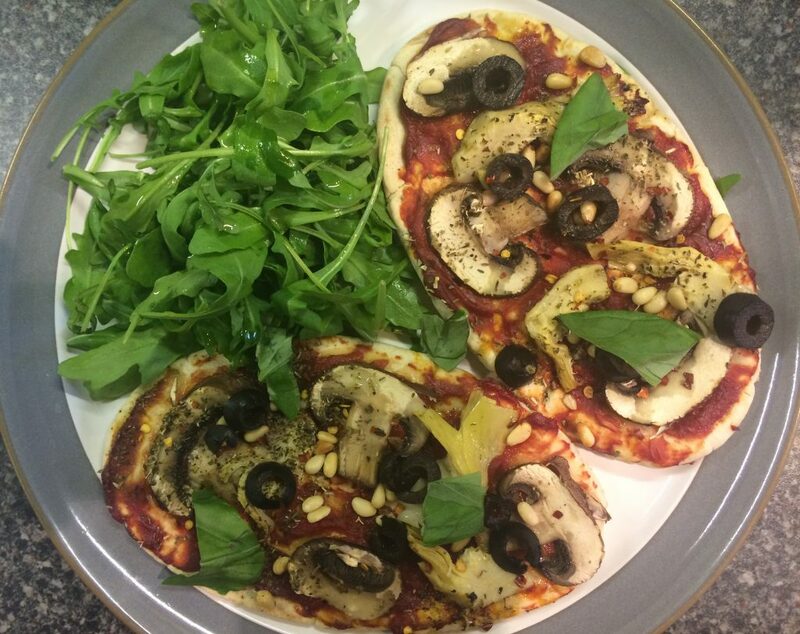 Pitta’s make for the perfect pizza bases and with a few ingredients as toppings they can become a really nice, quick and simple tea. 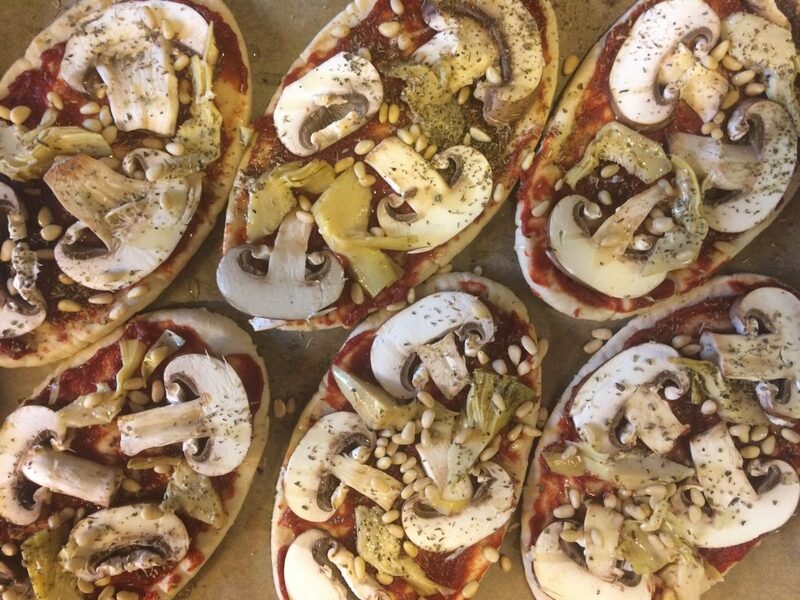 In this recipe of the month with create Mushroom and Artichoke Pitta Pizzas. This one only takes about 15 minutes to prepare and cook. Place the pitta breads on an oven tray and spread the tomato puree on one side of the pittas evenly. Add the slices of mushroom to each pitta and then the sliced artichoke. Sprinkle over the oregano and pine nuts. Drizzle olive oil over the pittas. Then place in the oven for 9-12 minutes until golden. Add the sliced black olives, and the sliced chilli to the pittas. Finish off the pitta pizzas with a couple of leaves of basil on each. Then add a handful of rocket to each plate, with a drizzle of olive oil and serve.